Each spring, the Entomology Graduate Student Association holds their annual Insect Fear Film Festival (IFFF) on the university campus. Initiated by Professor May Berenbaum in 1984, the IFFF is a free event open to the public that is intended to educate attendees about insects while feeding their love of terrible insect movies. Feature-length films and animated shorts are shown at each festival in addition to activities such as an insect petting zoo and face painting (EGSA 2014). An annual t-shirt, designed by a graduate student, is sold at the festival. Since the tenth festival in 1994, a children's insect art contest, held in conjunction with the Natural History museum, is organized by the graduate students and judged by volunteers from campus and the community (EGSA 2014). May Berenbaum originally pitched the idea of an insect fear film festival while she was an entomology graduate student at Cornell University. She was told the idea was “undignified” and was shot down, but finally found success with the idea at the University of Illinois at Urbana-Champaign in 1984 (Newman 2013). Eventually, the festival began to be organized around themes, from female insects, spiders and cockroaches, to the 31st festival theme of pesticides. Films are selected that fit within each festival’s theme. For the 10th festival in 1994, insect treats were served (EGSA 2014)! 2014 marks the 31st anniversary of the Insect Fear Film Festival. 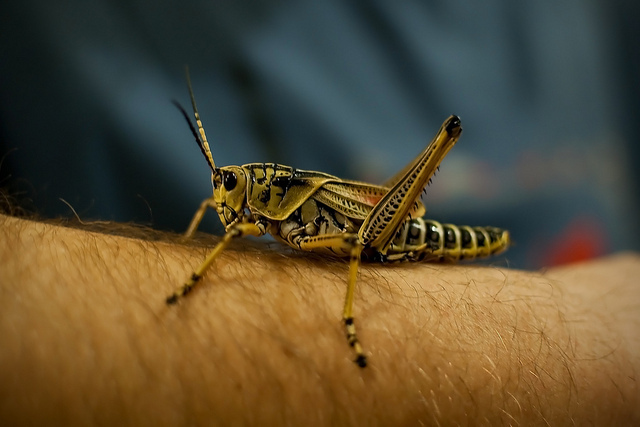 Lubber Grasshopper at the 29th Insect Fear Film Festival in 2012. : Image courtesy Flickr user Tao Zero under Creative Commons license CC BY-NC-SA 2.0. 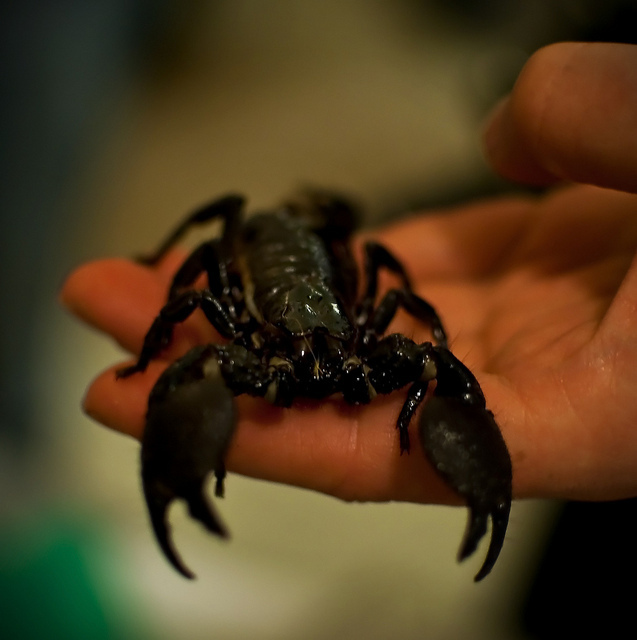 Scorpion at the 29th Annual Insect Fear Film Festival: Image courtesy Flickr user Tau Zero under Creative Commons license CC BY-NC-SA 2.0. 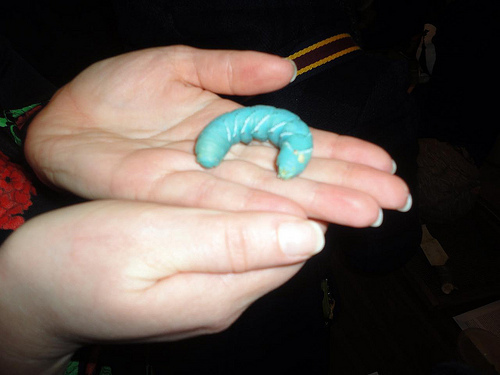 Tobacco Hornworm Caterpillar at the 28th Annual Insect Fear Film Festival: Image courtesy Flickr user benchilada under Creative Commons license CC BY-NC-SA 2.0. 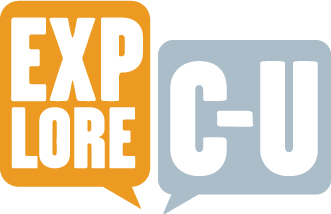 Kate Lambaria, “Insect Fear Film Festival,” ExploreCU, accessed April 18, 2019, https://explorecu.org/items/show/319. EGSA. 2014. “History of the Insect Fear Festival.” Accessed February 22. http://www.life.illinois.edu/entomology/egsa/ifffhistory.html. Kahn, Saher. 2014. “Annual Insect Fear Film Festival to displace fears, stereotypes,” The Daily Illini, February 20. Accessed February 22, 2014. http://www.dailyillini.com/lifeandculture/article_15f0d340-99c1-11e3-b1be-0017a43b2370.html. Newman, Cathy. 2013. “Insect Fear Film Festival: Just Like Cannes, Only With Spiders and Scorpions Instead of Jennifer Lawrence and Brad Pitt,” National Geographic Magazine, February 22. Accessed February 22, 2014. http://newswatch.nationalgeographic.com/2013/02/22/insect-fear-film-festival-just-like-cannes-only-with-spiders-and-scorpions-instead-of-jennifer-lawrence-and-brad-pitt/.